This week I was fortunate enough to attend three planning sessions related to the upcoming Presidential Debate being hosted by Hofstra on October 16, 2012. On Tuesday, five of us from the University attended a training session with the Commission on Presidential Debates in Washington, DC. 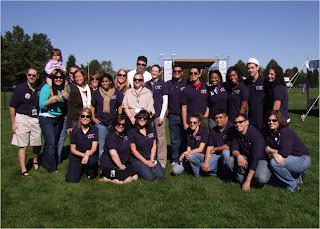 Each of the four host schools for 2012, along with some previous host institutions, met to talk about everything from logistics to programming. My group talked about how to engage a campus in programs in the year leading up to the debate, as well as how to create opportunities for our students to engage with students from local middle schools and high schools. 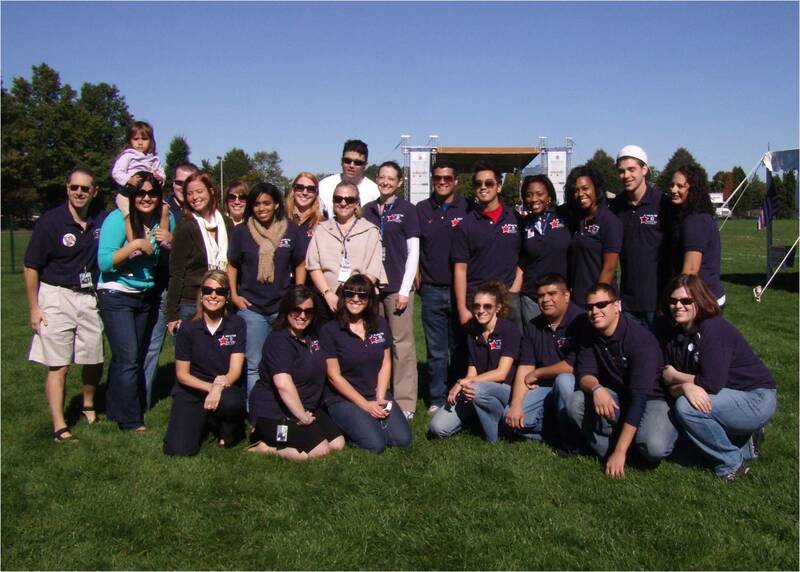 It was great to see our Educate ’08 program being held up as a model to other schools for how to turn a single event into a year of meaningful programs. On Thursday, there were two meetings on campus. In the morning, faculty and deans met to talk about ideas for special topics courses, experiential learning opportunities, and events beginning in the spring term. Faculty from all disciplines will be planning unique opportunities for students, so be sure to keep an eye out for those offerings. The same evening, about 30 students met with a group of administrators in the Hofstra Parlor to give suggestions about speakers they would like to see on campus, or issues they’d like to see addressed during events. In the next few weeks, we will be forming the joint Student/ Student Affairs committee that will support the programming efforts that will take place this year. This committee will also take the lead on planning and implementing many of the events that will take place outside of the debate hall during Debate Week. If you are interested in getting involved with that committee, or if you would like to suggest some ideas for speakers and events, contact me at jayne.brownell@hofstra.edu and I will be sure to invite you to our first meeting! 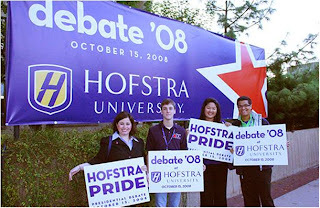 To get a sense of the level of activity on campus during Debate '08, check out the picture galleries at http://www.hofstra.edu/debate/debate08/debate_gallery_101308.html.